We made a video about how traps work in Starfinder. Hopefully they add an extra level danger in your game. Whether your a DM looking to test the group, or a player who wants to think ahead before getting in a fight. We're covering all there is to know about the lore of the Vesk and the Veskarium. In the game I run on my channel, my players have been hounded by an android bounty hunter for the majority of their current arc (about 14 sessions/7months). The PCs legitimately hated her and the players liked that their PCs hated her. Her tactics have been to piece the team off with grenades, range, stealth, and attack with at least 2 plans for escape in case she drops below 50% hp. Well the group finally trapped her somewhere she couldn't flee and they we all so happy she died (and they got to kill her after a long battle). She had a 2 PC kill count under her belt and the players felt they'd finally avenged their slain characters. I'm going to be coming off a long series of my PCs adventuring and they're turning their bounty in next session. I don't have much planned for the ones that aren't going to jail and I think it's time they go through downtime activities. Usually, when I run other games they'll spend this time doing stuff from item crafting/looking for buyers for higher-end items, researching magic items, or looking anything player backstory related. But for Starfinder, I'm drawing a blank. What do some of you GMs do to give your players the opportunity to be more rounded between adventures? We made a video about the Vehicle Combat. This covers the basics and we intend to go over each section in their own video, similar to how we've dealt with star ship combat. I hope you like it. Are there any books but the CRB to read about the Vesk(arium)? An interesting video about the Crest-Eater in Starfinder. Have you used them? And if so, how effective is their ability damaging Bone Eater/Venom Spit? Are there any environmental effects or spells which deal Ability Damage or Ability Drain? I'm looking to add some hazardous environments to my game, but I'm looking to add more verity to the danger than health/stamina damage. Are there any environmental effects which deal Ability Damage or Ability drain? I'm looking for by-the-book examples, one of my players is a real rules lawyer when she doesn't get her way and I'd like something to point to. Doing a Starfinder themed giveaway for March 2019. We made a quick video about how to level up in Starfinder. For new players it can be quite a headache to any system, but this will make things a lot easier. Do you use Drow in your games or are these legacy races on the back burner while you try to thew monsters and races? Drop a comment on our video to be entered into our monthly giveaways. What made you decide to pick up Starfinder? I grabbed it because I like the idea of a sci-fi RPG, but playing in a world as mainstream as Star Trek or Star Wars seemed like it'd make too many games where everyone would want to be a Sith lord or captain of the Enterprise. What about ya'll? 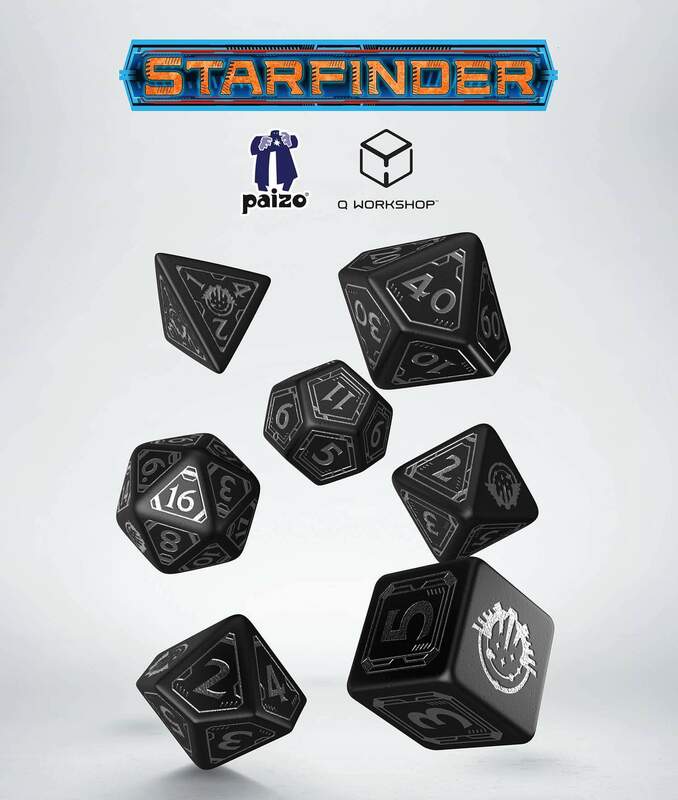 If your GM isn't dropping the items you're looking for, make them yourself with Starfinder's crafting rules. New character im trying out. Thoughts? Wanted to get some thoughts, and maybe tweaks. At lvl one can’t get too much into the Dakka but hey it’s a start. Equipment: hover drone with tac pistol, another same pistol for my character, 3 frag grenandes and a second skin Armor. Drone has deadly aim feat, character has imp init. Stats: Str:12, dex: 14, con: 11, int: 16, wiz: 10, cha:10 I get 7 skill ranks, so 1 into each class skill except athletics. Profession is electrician. I plan to add a soldier level to get better gun proficiency, but in game I take on the skill monkey and recon job, with some ranged support - eventually getting better with lvls and gear. We've finished our videos on the various roles of Starfinder's star ship combat. Hopefully this will help things go a little more smoothly during your space adventures. I really recommend using gravity rules more. They're a great way to amp up the challenge of encounters without just throwing more bodies in the meat grinder.